Have you ever wanted to support someone going through life’s challenges? Whether starting a new job, going through a breakup, or have received life-changing news, are you looking for a way to reach out and help someone navigate through these changes? Have you personally forgotten about self-care and self-love or battling with negative self-talk? Do you want the best for your employees and set the foundations of a positive work-life balance? B.OKideas is a movement helping businesses and individuals to support those going through life’s changes and challenges. 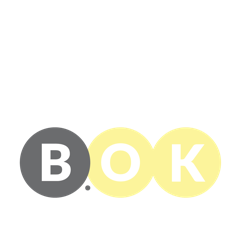 We strive to communicate positivity and happiness through community events and involvement, workplace wellness initiatives and unique gift ideas like our B.OK Boxes. A B.OK Box contains hand selected items to help guide the recipient over a 9 week period, with weekly surprise envelopes to open and explore. With a new gift and concept each week to help build confidence and support holistic wellness. To compliment the recipient will be given lasting techniques, tools and useful gifts to promote self-care and happiness. Gone are the days of chocolates and flowers – We are changing the face of gift giving by offering the latest ‘ideas’ and range of support initiatives for inside and outside the workplace. And don’t forget to join our B.OK Buddy Community which is ran as support for the people by the people.